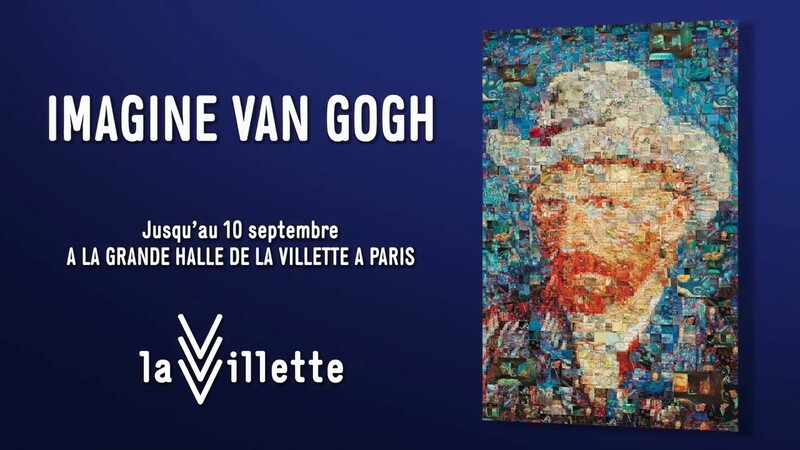 Imagine Van Gogh, here is an exhibition like no other. This work embraces a venue, an artist and a scenography. 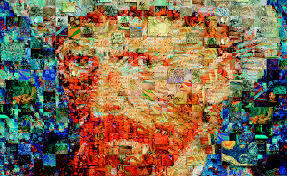 We do not discover Van Gogh’s works but we walk to live the works and the artist’s life. Come and discover this incredible work, no matter how old you are, you will be wide-eyed and you will experience a new way of looking at Van Gogh’s works leading us to discover details and you will truly “live” the paintings. 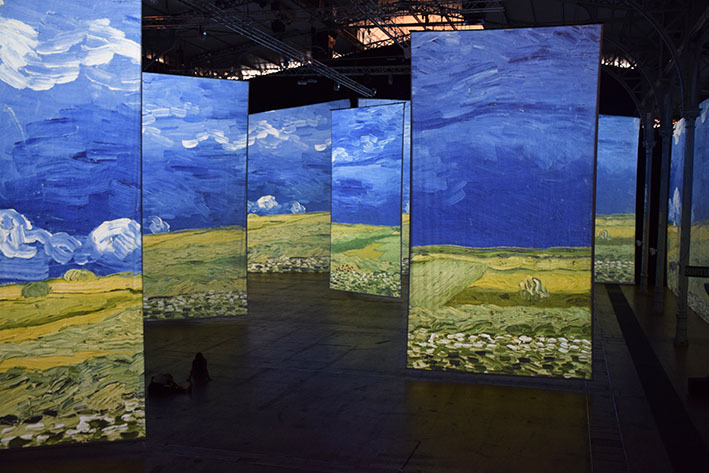 Thought up by Annabelle Mauger and Julien Baron, who worked together to create Cathédrale d’Images shows at the Baux de Provence, the wonderful IMAGINE VAN GOGH exhibition is to be discovered from June 23 to October 10, 2017 at the Grande Halle de la Villette. For this collaboration, the two artists wished to highlight Van Gogh’s unique universe, featuring 900 paintings and as many drawings and sketches. These works deal with nature, the painter’s everyday life and human condition in French and Dutch fields. For over a century, generations and generations of people have been fascinated by gazing at these works, rarely gathered together. The Sunflowers update their range of vibrant colors, a precious material that naturalist painters try to grasp to stage life. In the Grande Halle de la Villette’s rooms, we are offered to gaze upon “the Starry Night, Irises, Sunflowers, to immerse ourselves in the intimacy of Vincent’s bedroom or in the atmosphere in Auvers sur Oise and its wheat fields, an experience in the heart of pictures carried away by Mozart’s, Bach’s, Delibes’ or Satie’s music” …On paper, the exhibition already looks fantastic. BVJ OPERA-MONTMARTRE hostel team, will be the first to visit it and to give our thought about it!